Data Analysis as a Cloud Service is an alternative to internal solutions particularly for the SMEs. The cloud version however has problems. Risks and benefits should be weighed. Business Intelligence (BI) enables medium-sized businesses to take systematic data analysis as an intelligent business decision. Recent studies, such as the Business research and advisory institute shows that the mean state of the BI-demand steadily increases to support critical business processes. So, the introduction and operation of BI systems although may be beneficial as an industry standard BI solutions for small businesses but is a major hurdle. Longer implementation times, complicated installation, upgrade and operational processes and especially higher costs deter many. This could be remedied by cloud computing. The reference of the analysis software from the cloud as software as a service (SaaS) defines the hurdles of a BI implementation to go significantly lower – instead of “on-premise model” to acquire the BI software and run it oneself, the user uses BI capabilities as part of a “on-demand model” directly from the websites from the rental service provider. Data Analysis as a Cloud Service is used and accounted, only the BI functionality is what needed. Most of the deals in the market shield the users from complex installation routines or the administration of BI environments. The fact that the software does not install itself, still needs to be operated or maintained, Data Analysis as a Cloud Service rental systems can be faster and easier to implement than conventional software and at a lower cost. The realization of often extremely long periods of in-house systems can be elegantly circumvented. Data Analysis as a Cloud Service : Why Cloud BI? In daily operation, especially the staff who are not BI experts, usually get the benefits of these data analysis as a cloud service model. Many of the cloud BI variants have the characteristic which are relatively standardized. Thus, the often complex BI software is purified and reduced to the bare essentials. Intuitive, menu-driven interfaces enable the laymen to run detailed data analysis and do reporting. In larger companies mainly self-service BI as a key driver for the cloud version has emerged. Business users want today more and more flexible, independent solutions for analyze data and reports without the reliance on IT experts. BI in the Cloud make users no longer to wait for the deployment of BI functionality through the slow IT department, but it can be started immediately. Data Analysis as a Cloud Service : How Strongly Cloud BI will be Used? Image by Fuzitsu Cloud, has used for mass education and have no copyright claim on the above illustration. Time to Value: BI cloud offerings shine through faster compared to on-premise systems implementation. This proves to be particularly beneficial if the IT department can not respond quickly enough to new requirements. Cost Considerations: In the cost analysis is in-house and cloud systems differ significantly. Buying software companies need to pay in advance and they can write off over the period of usage. Rental software tries no upfront investment, no return depreciation comes into question. Rental Software is also cheaper than buying software in the first five years. Lack of IT expertise: Cloud applications are often configured for specific situations or industries. This will help companies who can not create their own applications because of their scarce IT staffs. This Article Has Been Shared 7645 Times! Cloud Computing Solution penetrating as business solution and in day to day usage. Here is list of all articles on Cloud computing we have published so far. Cloud Computing Architecture is nicely explained by the author in plain English in this article touching the most important aspects. Typical Errors in Deployment of Applications and Websites on the Cloud usually related to application performance, security and choice of tools for monitoring. Types of Cloud is an easy to understand article on Private Cloud, Public Cloud and Hybrid Cloud with brief description of each types divided in this way. 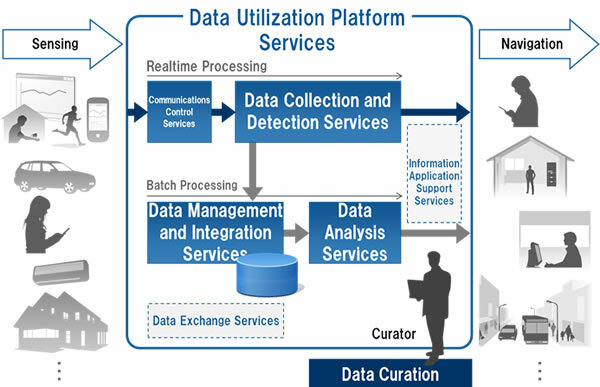 Cite this article as: Abhishek Ghosh, "Data Analysis as a Cloud Service," in The Customize Windows, September 27, 2013, April 21, 2019, https://thecustomizewindows.com/2013/09/data-analysis-as-a-cloud-service/.